Creating visual content should be simple, fun and lightweight. Stencil is designed to help you create beautiful looking images faster than ever before. Even if you've never used an image editing program, you can pick Stencil up and use it in seconds. The easiest and quickest way to double your social engagement. 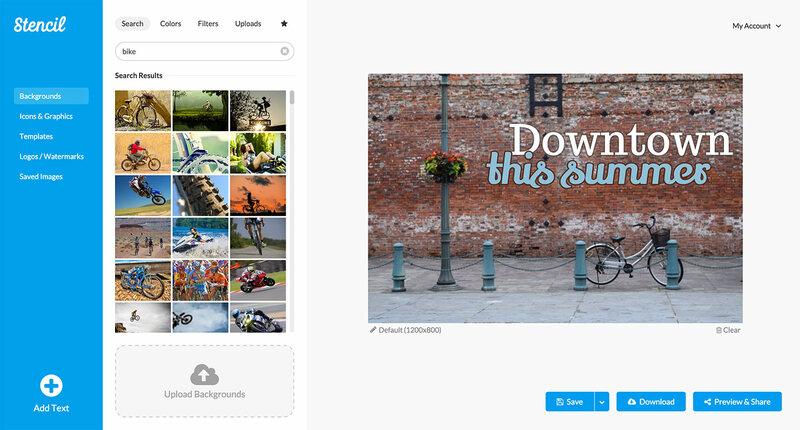 Ridiculously simple image creation for social media marketers, bloggers, and small businesses.